Standard or complex, designing can be a time taking and elaborate task. And, we are certain if you are a budding or professional graphic designer, you must already have an idea on how tough it can actually be.It is with consistent practice that one can reach a satisfactory place in design. Along with knowing the softwares and the basic principles of design it is always an advantage to identify some extra methods and resources to make your design creative in less time. In order to make your next design project easy and creative, we have put together 10 diagrams that will certainly help you improve your craft, if not make it the best. 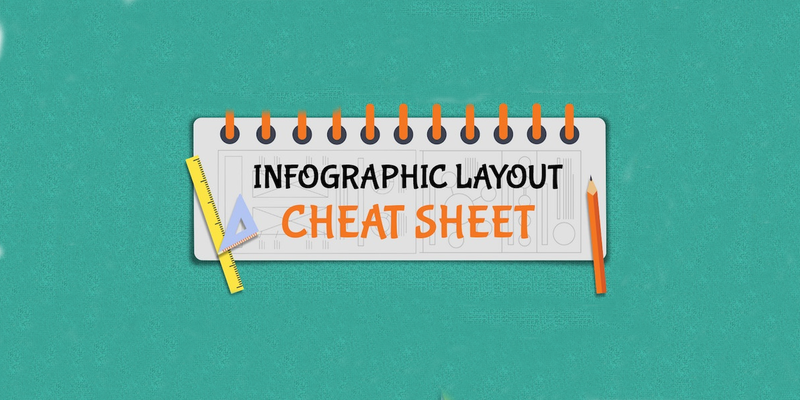 The Infographic Layout is a graphic design cheat sheet prepared by SeeMeiChow of Piktochart. The sheet contains six infographic layouts, each explaining the type of infographic it is best suited for. The layout is perfect for finding an infographic filled with numerical data or comparison chart. The guide designed at Raidious is extremely helpful for designing right size content for different social media platforms. 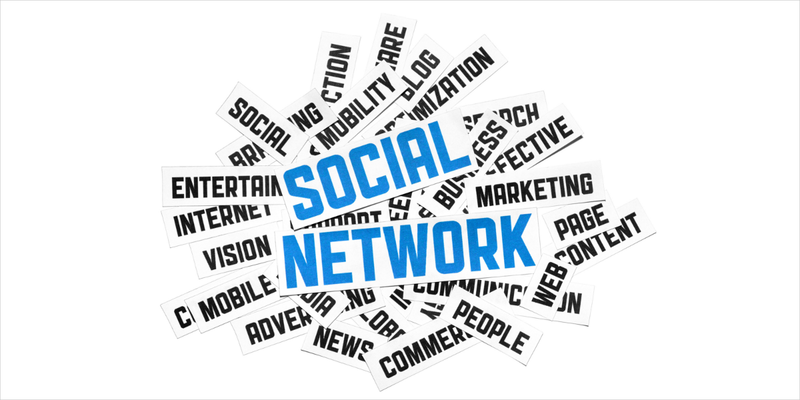 The guide sheet includes specific dimensions for Facebook, Twitter, Google+, LinkedIn and YouTube images. The sheet is helpful for designers who are looking to make their content appear professional and clear. The Typography cheat sheet by Typewolf makes typing unusual characters easy. Containing shortcuts for HTML and Mac keyboard, the sheet can offer easy application and solution to typography related issues. 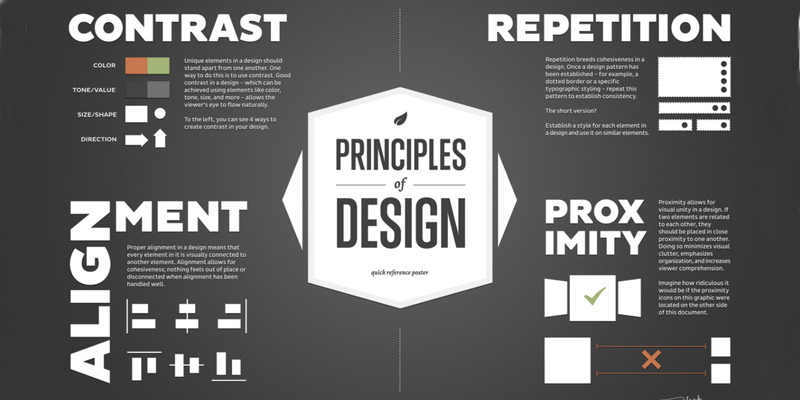 Design elements and principles is an infographic designed by Mary Stribley. It is a design sheet that highlights the 20 important design principles which are as follows- Line, scale, colour, repetition, negative space, symmetry, transparency, texture, balance, hierarchy, contrast, framing, grid, randomness, direction, rules, movement, depth, typography, and composition. 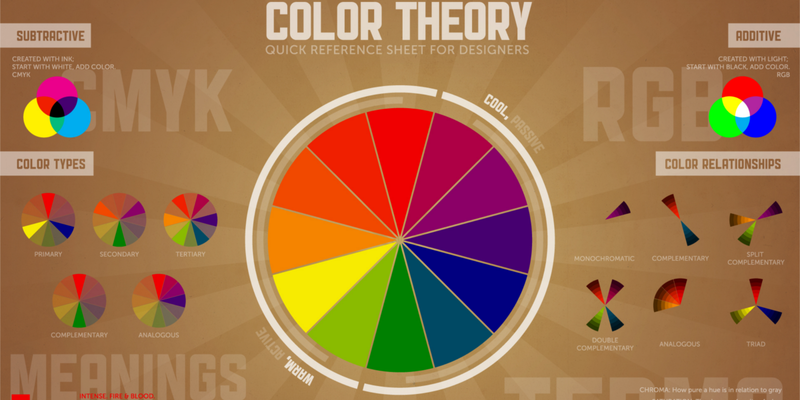 This interesting colour cheat sheet helps you decide on the colour combination by gaining knowledge of the psychological associations with each colour. This knowledge further helps to pair the unusual colours correctly to create a striking or soft design. If you are little shaky with the photography or camera related terminology, this photography 101 cheat sheet by Becky Thomson is the answer. 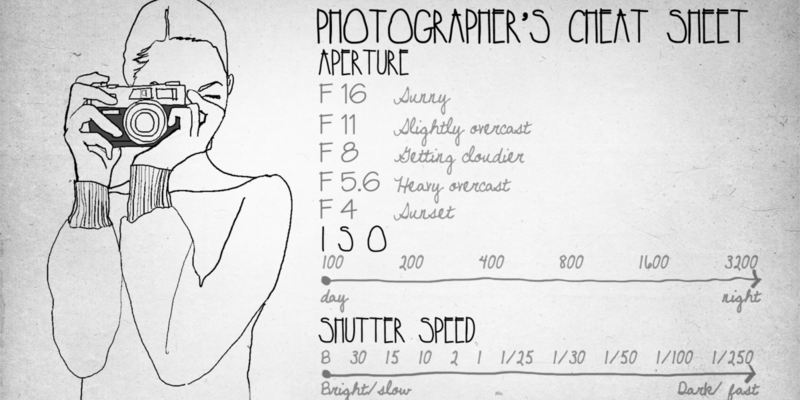 Along with explaining the common terms like aperture, shutter speed, ISO and exposure, the sheet also offers guidance on the right settings for taking personalised or customised photos. 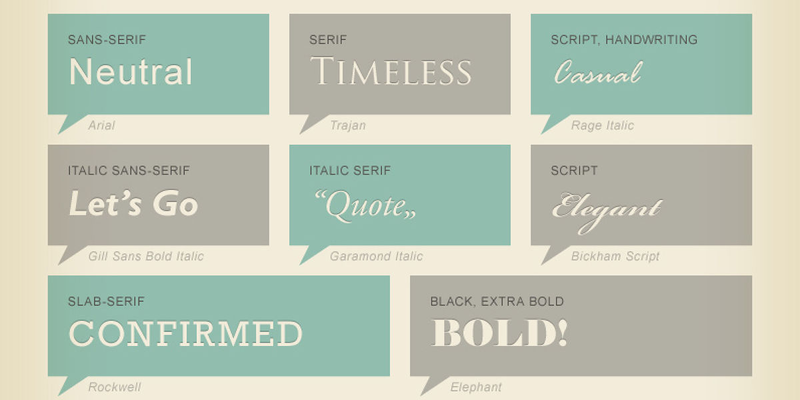 This typography cheat sheet designed by Martin Silvertant actually explains the anatomy of a font. The sheet outlines the terms like aperture, apex, arc, arm, etc with the help of a descriptive diagram and list. The cascading style sheets from Smash Magazine offer a useful reference guide to the style sheet language. The style sheet is the go-to guide for basic CSS information. 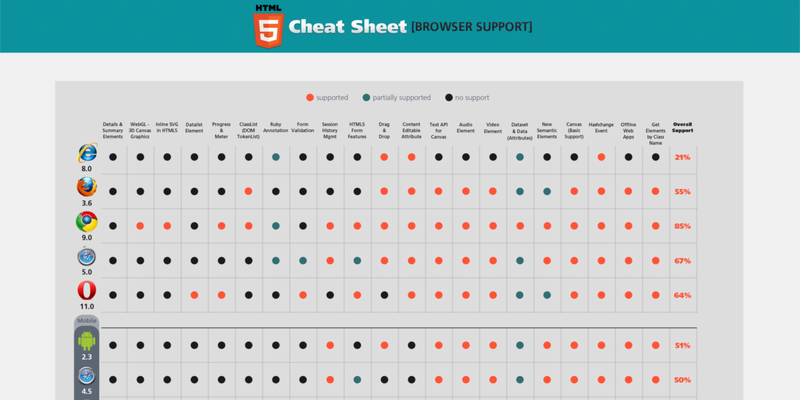 This HTML Tag cheat sheet offers the beginner’s guide to building a website. The sheet is also greatly helpful to any designer using WordPress. 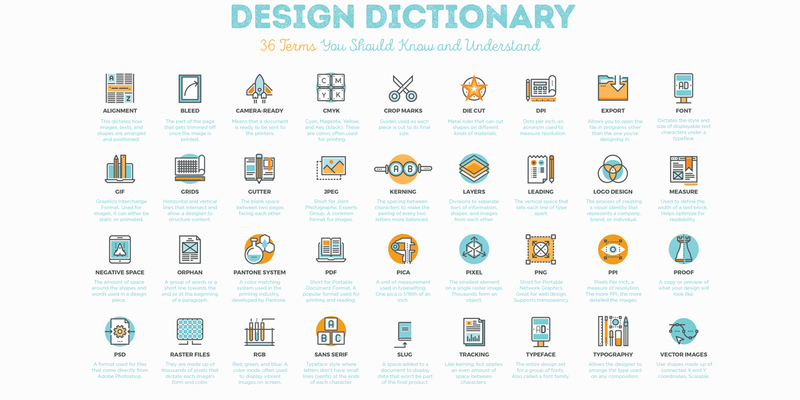 Design terminology dictionary is a great platform to brush up on designer lingo. This just gives you an extra edge while discussing the design project with the client. Whether you are a designer or just a graphic design enthusiast, these cheat sheets are easy and convenient platforms to offer you comprehensive reference on the basics of design.